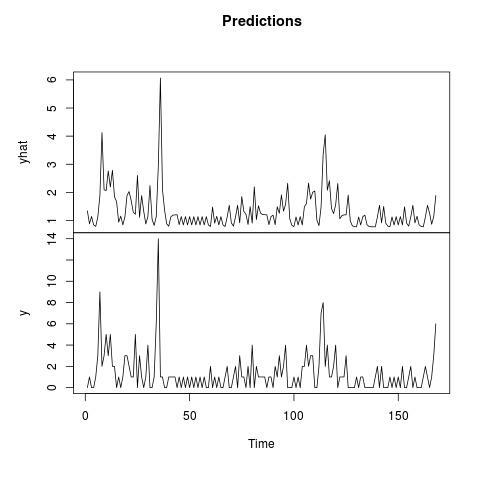 Modeling the time series of count outcome is of interest in the operational risk while forecasting the frequency of losses. Below is an example showing how to estimate a simple ACP(1, 1) model, e.g. Autoregressive Conditional Poisson, without covariates with ACP package.